Nominated for the award for Excellence in Audio at the International Games Festival 2019, Ethereal now has a concrete release date. According to developer Nonsense Arts, the abstract puzzle game will release on March 7. The game is an “adventure that invites you into an abstract and mysterious world surrounded by carefully designed puzzles,” according to the developer’s website. While the game doesn’t seem extremely cut and dry just from watching the trailer, the reactive soundscape paired with a soothing vibrant color scheme makes it stand out. Ethereal tasks players with navigating their colorful character blob through increasingly intricate levels by manipulating the world around it. 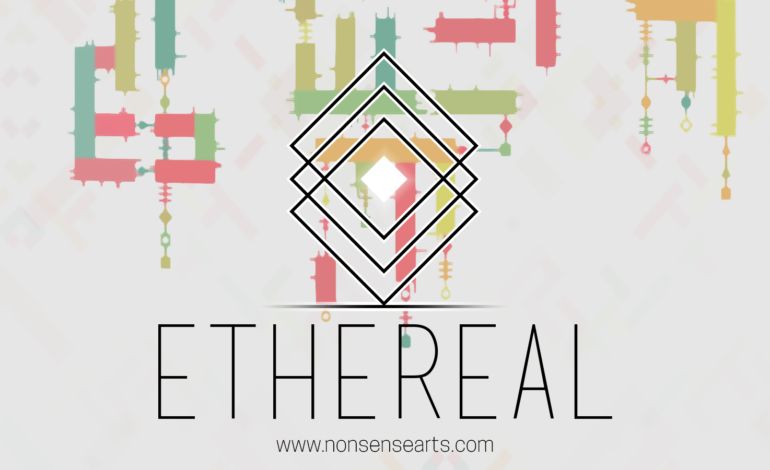 While some puzzle games require a race-against-the-clock mindset, Ethereal stands out by allowing players to take their time traversing the levels full of walls, spikes, and moving platforms. Simple in concept but difficult in execution, the goal is to make it from the starting point to the end point, sort of like a maze. As it is no small feat to be a finalist at the IGF in any category, Ethereal made waves incorporating unique sound into an already bizarre backdrop. For every action, there is an equal and opposite reaction states Newton’s Third Law of Motion, and since video games are known for bending and breaking the laws of the real world, Ethereal has chosen to bend using reactions based in audio. Each action taken in the game provides a sound, each eerie and mesmeric, which change based on the specific action taken, such as passing through platforms or spinning the level to reach new places. The game also features a dreamy (and often times quite foreboding) soundtrack by Tomás Batista, who created the music and sound design for the game. You can check out the playlist on Spotify. The most interesting takeaway from the trailer seems to be the mysterious entity chasing the player’s character, tailed by ever-growing darkness, encroaching on the sphere of light surrounding the character. Little mention is made of this potential threat, so it seems like the only way to solve the mystery is to play the game on March 7. Ethereal will be released on the Humble Store, Steam and Itch.io.